I'm not in Downey right now. I am in Hawaii. And, I am always on the lookout for interesting shadows. 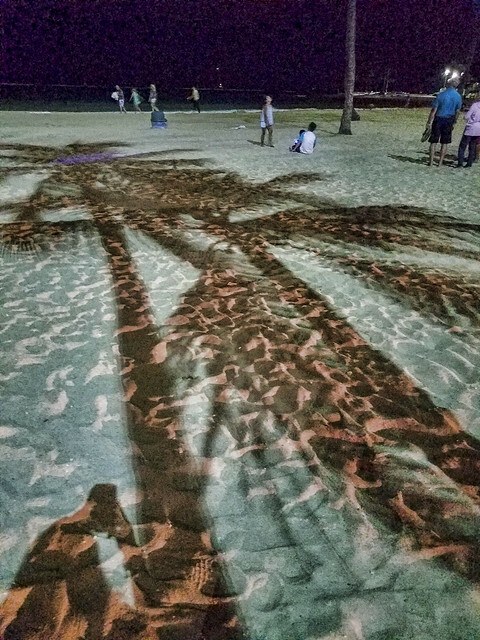 These palm shadows are right in the heart of Waikiki, where the beach meets the Hilton Hawaiian Village. 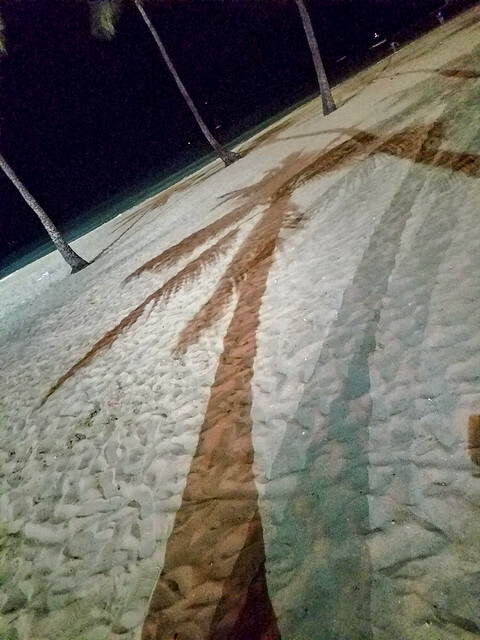 The resort lights cast an interesting set of shadows on the beach.